Got the sun & heat hitting your back? The High UV Buff® as half balaclava gives you heat relief & sun protection. Your neck gets burned and is hot. The sun is right in your back. You put your High UV Buff® on as a half balaclava. Now you’ve got cooling and skin cancer protection on your neck. Do you have a trucker cap with a mesh back? Be aware that you have no UV protection there. I would normally wear the Buff® over the cap to keep it in place. In this case having the Buff® underneath gives UV protection and more comfort. Also pictured is the Angler Glove. 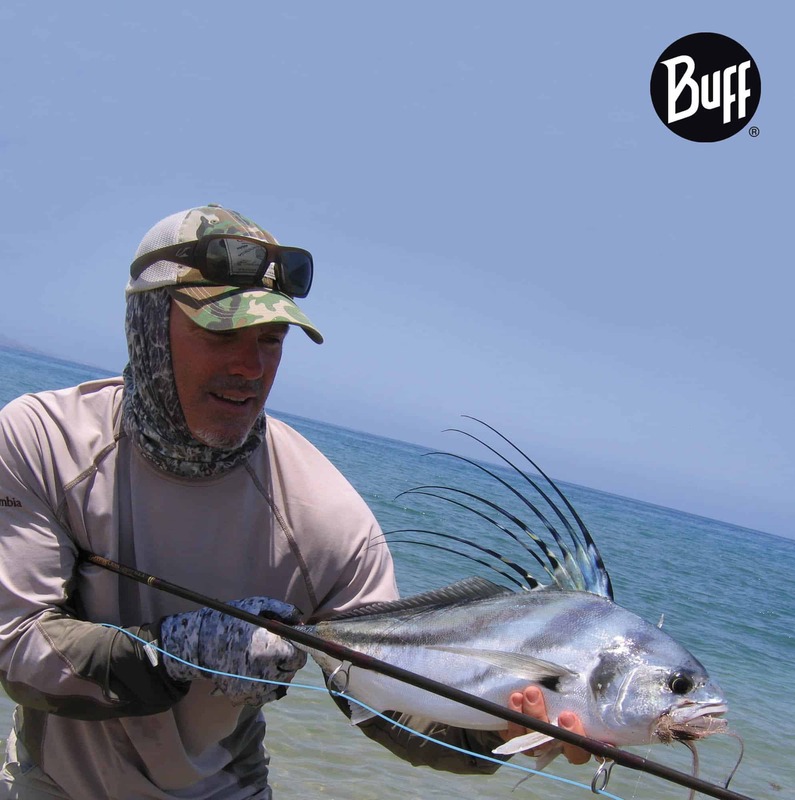 Specifically designed for fishing with designs that match your Buff®. The design shown is out of the Angler collection.